Facebook founder Mark Zuckerberg made a rare visit to London this week, introducing the UK Facebook Developers Garage and discussing his thoughts about what makes Facebook so popular. In his brief and thankfully sweat-free speech, Zuckerberg told a packed audience, with TechRadar in attendance, that Europe was a significant part of a site which he believes is one of the most engaging out there. 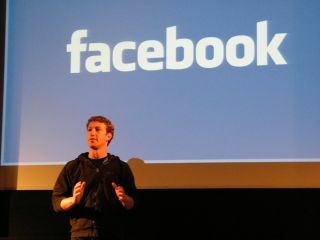 "It is a really exciting time to get information," notes Zuckerberg. "What we have seen is the Facebook web application is the most engaging website ever built because it has been made for people. "We are at a pretty interesting point in the world. The world is becoming more and more open. Google came out when I was at middle school. Before that there was AOL, then Napster with all the music you wanted. "Then you could look at everything on Wikipedia and finally Facebook brought social to the web." When it comes to Europe, Zuckerberg noted that it is European developers who are using Facebook's social plug-ins, explaining that its take-up has been massive outside of America. "Already 300,000 sites use our Like plug-in and social APIs, with 50 per cent coming from Europe. "The social graph means that all developers can easily add social tools to their sites. The graph API meant that we completely re-did the core programme, it is a lot easier to use, it is a lot faster." Zuckerberg noted in his speech that he wants all websites to be social and he believes Facebook has the tools to do this and that is why Zuckerberg is giving these tools to developers for free. "We realised early on that we couldn't develop all the social things we wanted, so we started the API platform so developers can build the next generation of applications. "Social gaming has interrupted the games industry, making us the biggest gaming platform in the world. "The new version of Spotify is fundamentally social and is pretty amazing, it adds a new level to the experience that is completely different from what was before. "Every industry is going to go through a wave of social development. It is not just music and games. Most of what people do on the web isn't on Facebook, it isn't on any one website. All the websites you use are based on structured data but there hasn't been any way for websites to utilise this. Facebook is trying to do this."